Most Moisturizers, creams, & lotions are made with alcohol, or petroleum oil bases as a main ingredient, these can clog your pores and become a collection for the pollutants, and toxins that exist in the air. 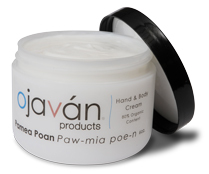 Pamea Poan is an all natural and organic facial moisturizer and hand and body cream. Both the moisturizer and the hand and body cream help feed your skin the trace minerals and elements that keep it young looking and feeling refreshed and clean with no oily buildup. We use only the finest organic and natural ingredients for our products. From the moment you use our cream and moisturizer you will feel what it is doing for your skin. For beautiful skin naturally, you will not find a better product. American made. Not tested on animals, no animal by-products are used. With its delicious texture, this moisturizer will provide your face, the ultimate moistureizing experience. Rejuvenate and restore your skin, help minimize fine lines, leaving your skin feeling silky smooth. You won’t want to go a day without it. Pomea Poan’s rejuvenating and restorative properties are indicated by a slight tingling sensation as your skin becomes healthier. Pamea Poan Facial Moisturizer is 88% certified organic and 100% all natural. Great for sensitive, combination, or sun-damaged skin. Contents: Aloe barbadensis (Organic Aloe) Juice, Simmondsia chinensis (Organic Jojoba) Oil,concentrated Great Salt Lake mineral water, Lavandula x intermedia ‘super’ (Organic Lavender) Extract, Olea europoaea (Organic Olive) Oil, Emulsifying Wax NF, Elaesis guineesis (Organic Palm) Oil, Palm Stearic Acid, Aspalathus linearis (Organic Rooibos Tea) Extract, Kosher Vegetable Glycerin, Rosa mosqueta (Rosehip) Oil, Methylsulfonylmethane (MSM), Dimethylaminoethanol (DMAE), Organic Calendula officinalis Extract, Hyaluronic Acid, Tocopherol (Vitamin E), Ascorbyl Palmitate (Vitamin C Ester), Panthenol (Vitamin B Complex), Daucus carota (Carrot) Oil, Retinol Palmitate (Vitamin A) Oil, Camellia sinesis (Organic White Tea) Extract, Polysaccharide gum (Xanthan Gum), Citric Acid. With a euphoric balance of Organic Herbs, Vitamins, and Concentrated Mineral Water from the Great Salt Lake, we have created a fabulously moisturizing cream. Pamea Poan leaves your skin feeling soft, & supple with radiant moisture. Your skin deserves to look and feel beautiful, Pamea Poan does this; no oils, no chemicals, only natures best – that’s good for your skin. Pamea Poan, Body & Hand Cream is 80% certified organic and 100% natural. Works with all skin types. 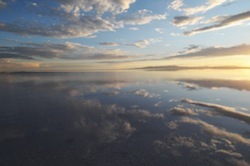 Contains: Aloe barbadensis (Organic Aloe) Juice, Lavendula angustifolia (Organic Lavender) Distillate, concentrated Great Salt Lake Mineral Water, Anthemis nobilis (Organic Roman Chamomile) Distillate, Cocos nucifera (Organic Coconut) Oil, Emulsifying Wax NF, Palm Stearic Acid, Kosher Vegetable Glycerin, Simmondsia chinensis (Jojoba) Oil, Vitis vinifera (Grapeseed) Oil, Persea americana (Avocado) Oil, Prunus dulcis (Sweet Almond) Oil, Hamamelis virginiana (Witch Hazel), Camellia sinensis (Organic Green Tea) Extract, Urtica dioica (Organic Nettle Leaf) Extract, Stellaria media (Organic Chickweed) Extract, Ulmus fulva (Organic Slippery Elm) Extract, Silybum marianum (Organic Milk Thistle) Extract, Althea officinalis (Organic Marshmallow Root) Extract, Avena sativa (Organic Oatstraw) Extract, Aphanizomenon flos-aqua (Blue Green Algae), Tocopherol (Vitamin E), Phenoxyethanol, Cannabis sativa (Hemp) Oil, Salix nigra (Organic Black Willow Bark) Extract, Mannan, Rosmarinus officinalis (Rosemary) Oleoresin, Azadirachta indica (Neem) Oil, Tetrasodium EDTA, Citric Acid. It is normal to feel a slight burning sensation when using these products. If there is too much remove immediately with warm water. If irritation continues seek medical attention. These products are not intended to diagnose, treat, cure or prevent disease. This entry was posted in Ojavan Products and tagged cream, Face, Green, Green Products, lotion, moisturizer, Natural, Natural Beauty, Ogden UT, Ojavan, Ojavan Products, Organic Products. Bookmark the permalink.